In 1876, the erstwhile educator, Melvin Dewey, devised the first alpha-numerical cataloging system for the library he worked in. In 1939, farm-hands, Jerry Siegel and Joe Shuster, created the first ever super-hero, Superman. Last week, around lunch-time, some chap called Igor cobbled together a great platform to help people catalog their comic book collection. Well, that's what my mate Tim told me, anyway. Here, check out what else he told me, whilst producing a monkey from his pocket. 1) What is your role in Stash My Comics, Tim? And what path did you take in life to get where you are today? First off, let me say thank you to Comic Book Movie and Reviews for giving me a chance to get our voice out there! We're so glad, and anxious, to give our fans a chance to get a good insight as to who we are, and what we're doing. I also want to say thanks to Chip Reece for helping me out with some of these questions! With that, I'm the Public Relations and Coordination Manger at StashMyComics. I get to talk to all the comic companies (Image, IDW, BOOM! Studios, Valiant), and help bring their new issues to light by passing them along to our talented team of reviewers. I also help to promote the site on our twitter and our facebook accounts. It's a lot of work, but it's work I love to do! The path I took to get to StashMyComics started when I was 12 years old, and got that first comic book in my hands. It was 'Uncanny X-Men Annual #11'. That issue opened to door for me to a whole world I never knew existed. Fast forward many years -- and dollars -- later, to 2011. My brother had just passed away, leaving a gaping whole in my heart. One thing he was very active in before he passed was comic books. I had found StashMyComics a short time before, and had spotted an open call for writers on the forum. It took some convincing on my wife's part, and knowing that if my brother were still here, it would be something he would have loved to read. I wrote a review on 'What If? #24' (One of my all time favorite issues) and then of 'Uncanny X-Men Annual #11'. After that, I was given the chance to become a writer full time for StashMyComics, which I definitely took! It wasn't long before we at SMC took the initiative to start talking to the bigger companies, and really put a focus on the indie scene too. My job as Public Relations came out of that adventure, and here I am today. 2) In your own world how would you describe this service? And how does it work in practice? StashMyComics is very simple: You take your loved collection of comics -- big or small -- and stash them on the website. From there, you have the chance to rate your issues -- positive or negative -- for everyone at SMC to see. You earn points for rating, reviewing, submitting cover images, or uploading new titles all together. It's completely interactive, and you actually get to see what you're missing in your titles, instead of having to search and search for covers just to know what they look like. It's all right there, at your fingertips. It works in practice because it's free! Why pay to catalog your comics? We offer you a free service that you need. Moreover, you get an awesome blog with articles ranging from the hows and whys of collecting comics and toys, to our staple articles like Back Issue Bin to the Future, Geek Cinema, Crossover Classics, and Crowd Funding Flash, which focuses on Kickstarter projects. Oh! We have an active forum too, for you to talk any and all about comics, movies, or whatever is on your mind. We have a very loyal fanbase, and it grows more and more every day. 3) What ‘superhero origin’ is similar to the origins of this cataloguing system? Maybe Batman? Igor (site creator) is like Bruce Wayne. No. He didn't tragically lose his parents, and his motivation to create StashMyComics has nothing to do with vengeance (at least we don't think so, anyway). But he has overcome a significant hardship in his life -- surviving cancer. And many of us -- like the various versions of Robin Batman takes in -- have had our own difficulties to overcome. We've tragically lost a loved one, have had children with serious physical health issues, and have even overcome clinical depression. Igor (Batman) has taken us all under his wing and allowed us to play in his world. And like that dynamic duo, our personal gain isn't for money (It's all for FREE baby!). It's an extreme indulgence in the hobby that we all love and hope provides others that outlet as well. 4) Do you have any tips for collectors who organise their comic books physically? Stop wasting your time and get an account at StashMyComics! Haha! Actually, everyone finds their own way. Personally, I'm OCD and want everything to remain in the best condition. Every book is bagged in mylar and boarded to keep ultraviolet light from discoloring the pages and the book safe from dings and bending. I recently invested in comic drawar boxes, which has been wonderful on my back! I used to stack and restack the non-drawer version...yeesh! 5) If you could assign a smell to ‘Stash’, what odors would it be and why? Hmm? Wellll, 'stash' makes me think of 'stache' -- which then pops an image of Chuck Norris' stache in my brain. That stache could only smell like cowboy ninja sweat and Stetson. So yeah, A sweaty cowboy ninja wearing Stetson is probably what that would smell like! 6) If your free service were a movie, a piece of music, or an object, what would it be and, again, why? If it were anything, it'd have to be a documentary. We are on the pulse of the industry! It couldn't be a dull documentary though. 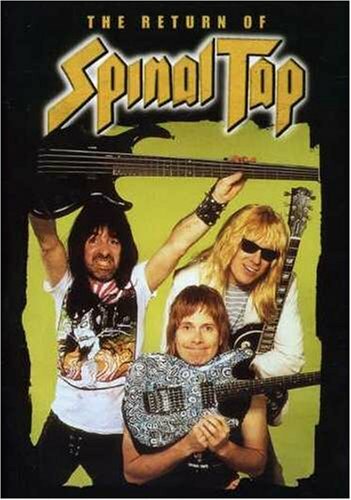 You'd have to throw in bits of Spinal Tap and some Stan Lee to mix it up. Add to that all of the colorful personalities at SMC, and you'd have one heckuva movie! 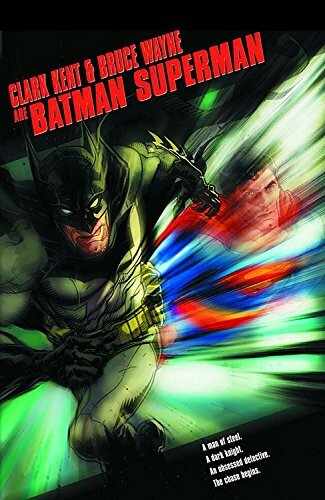 7) What was the first comic book you ever read? And do you still read mainstream comics today? 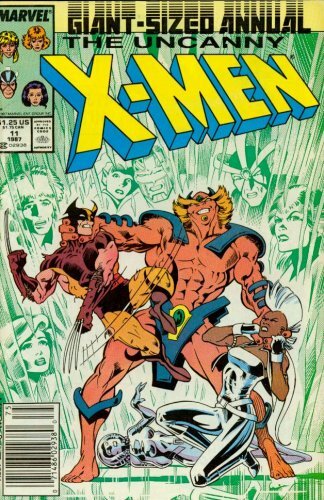 As I stated previously, my first comic was 'Uncanny X-Men Annual #11'. As for reading mainstream comics today? Oh yes! I'm really big on the new Valiant stuff right now. 'Bloodshot', 'Harbinger', 'X-O Manowar'. Great stuff!! I'm also heavily reading 'Winter Soldier', 'Daredevil', and 'Amazing Spider-Man' from Marvel, and 'Batman' and 'Earth 2' from 'DC'. Sprinkle in some Image and other stuff, and my plate is pretty full. 8) If you was stranded on a desert island, and was only allowed to bring with you one item, what would that item be and why? That's a tough one. Can I say my wife? That way she won't get mad at me when she reads this! Haha! If I had to really choose, I think I'd have to take a multi-purpose tool. If I had that, I'd be good to go and at least attempt to survive, lol! 9) If you could get a celebrity to promote your wares, who would you get, and why this particular person? Why, Stan Lee, of course! If we had Stan "The Man" Lee to promote our site, we'd be the biggest comic cataloging site in history! This is all Stan would have to say too: "Stash My Comics. Excelsior!" That's gold, right there. Correct-a-mon-do, Tim. I could not have put if better myself. So what are you waiting for dear readers? Visit www.stashmycomics.com today. Plus please remember to do the tweet-tweet / face-face / google-google thing too. Many thanks.